Delphinium aja. 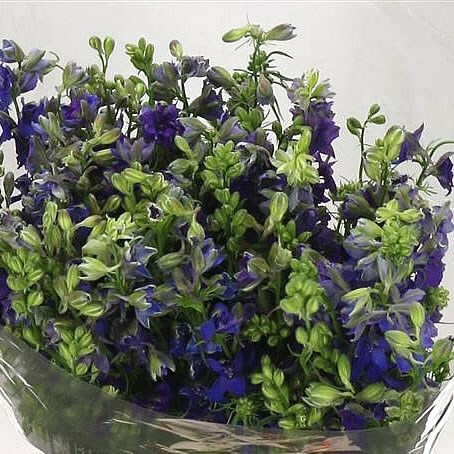 Larkspur Blue, commonly known as Larkspur or Rocket Larkspur, is a beautiful Blue tall cut flower. It is approx. 80cm and wholesaled in Batches of 50 stems.